She was an underrated cultural icon and forerunner of the dramatic avant-garde, perhaps better known outside her native land. The story of Asja Lācis, one of the most culturally powerful women of 20th-century Latvia, will be told at an exhibition opening January 31 on the fourth story of the National Library of Latvia. 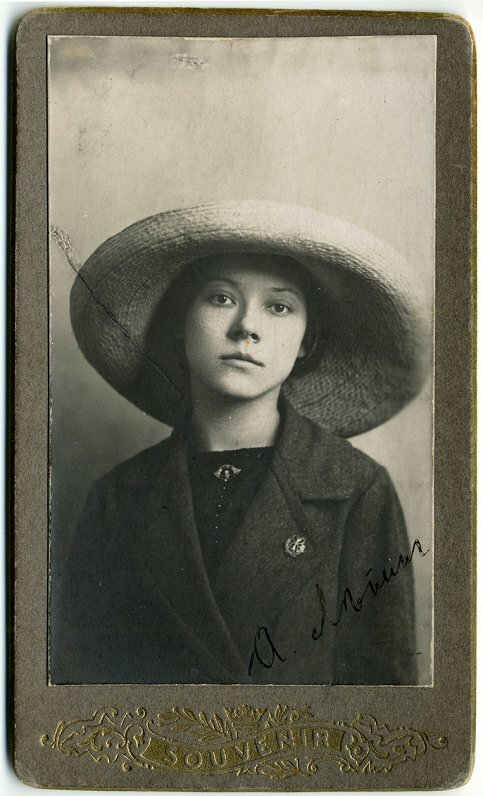 Nicknamed Asja, Anna Lāce (nee Liepiņa, 1891–1979) was a renowned dramatic theorist, who has acted as theater director, actress, educator, and an intermediary between the prevailing dramatic currents in Russia, Latvia, and Germany. Asja Lācis influenced a host of thinkers, chiefly the German philosopher Walter Benjamin (1892–1940). In 1928, Benjamin dedicated a collection of essays to Lācis, the love of his life. "Audiences will visit almost all early-20th century hot-spots of the European cultural avant-garde, from Rīga to Berlin, Munich, Naples, Rome, Vienna, Paris, St. Petersburg, Moscow, and Valmiera, finally returning to Rīga. In each of these stops Asja Lācis has met and cooperated with the leading intellectuals of the time," said curator Andris Brinkmanis of the Latvian Centre for Contemporary Art. Asja Lācis. Engineer of the Avant-Garde is to reveal Lācis' ties with and influence on German thinkers such as Bertolt Brecht, Fritz Lang, and Walter Benjamin in Germany, as well as Vladimir Mayakovsky, Vsevolod Meierhold, Sergei Eizenstein, Dziga Vertov in Russia alongside her local influence. The exhibition brings together several museum collections, including from her granddaughter, the famed theater director Māra Ķimele (1943). A child of the revolution--and an active propagator of the revolution--, Asja Lācis created an experimental children's theater after finishing studies in Moscow and St. Petersburg. This theater included street children, orphans and homeless people; later on, Walter Benjamin would help her define its theoretical principles in writing. In the late 60s and 70s, these principles and testimonies about Lācis' experiences would be used in the Community Theater, and experimental theater enthusiasts would draw from her writings in Germany, France and Italy. Her methods are still used in these countries. Lācis' early work left an influence on Brecht's Lehrstucke. She worked with Brecht from as early as 1923. Meanwhile Walter Benjamin would heavily draw on his experiences with Lācis for the article which was published in the Frankfurter Zeitung under the title Neapel; different philosophers would use the concept of porosity first mentioned in the piece. The local press would publish her works on German and French theater in the early 1920s. She would cooperate with progressive leftist writers like A. Kurcijs, L. Paegle and L. Laicens; the latter would dedicate a book of poems to her. After moving to Moscow, she was among the first to become interested in children's theater and the effect the media leaves on young people. 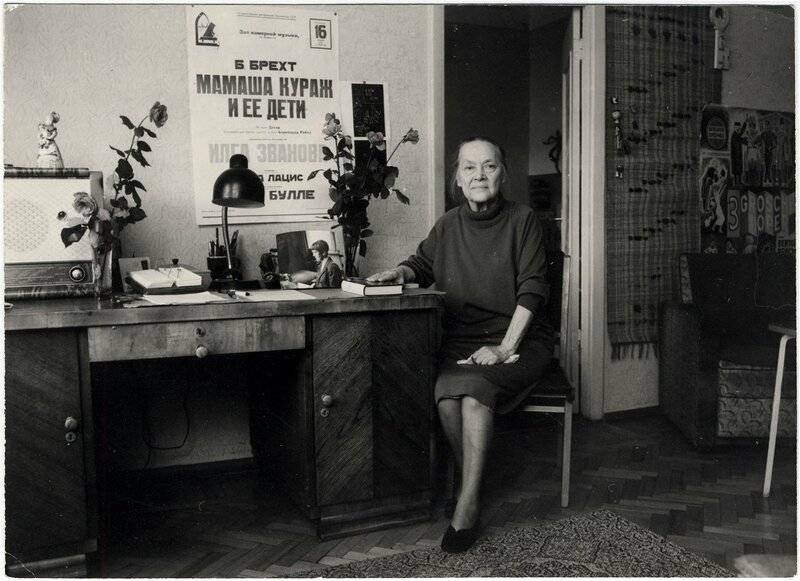 She later penned a monograph on German revolutionary theater, but in 1938 Lācis was deported during Stalin's purges. Upon returning to Latvia in 1948 she became a director at the Valmiera Theater, where she would work until retirement. After her death in 1979, Walter Benjamin's Moscow Diary was published. The book, as well as Benjamin's associates views have propped up her image of being a mere femme fatale who'd turned the German philosopher to Marxism. The exhibition, open until March 31, aims to change this perception.